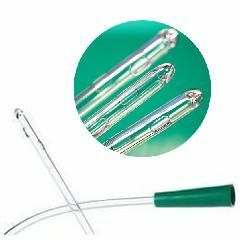 The Coloplast Self-Cath Plus Straight Tip Hydrophilic Catheter is designed for single use, intermittent self-catheterization. The unique hydrophilic coating activates immediately upon exposure to water for fast, clean lubrication and maximum ease of use. To facilitate catheterization, the Self-Cath Plus offers an uncoated GripZone area for total control in handling. The Self-Cath Plus is flexible, has smooth fire polished eyelets, is made of medical grade PVC and is Latex Free. Coloplast, a leading global health care company, recently acquired Coloplast's Urology business. We believe these businesses are better together. Coloplast was founded by a nurse in 1957 in Denmark, Coloplast's reputation for innovation has been built by working closely with health care professionals and end customers to develop new products. We value input and are eager to maintain a regular and meaningful dialogue to continue our heritage of innovation and service. The high-performance urology products formerly manufactured and distributed by Coloplast will continue to have the same superior quality, and are now manufactured and distributed by Coloplast. Coloplast provides the widest range of urology solutions and services. Rest assured that your preferred urology products and services will continue to be available from Coloplast. Price is right. I wish it was self lubricating. by Kirk from Palmyra, Pa. Safe. Easy Storage. almost painless. carry in pocket. When you add the water the chemical reaction creates the most lubricated catheter i have ever experienced. It is still a catheter----but almost painless. What is the difference between the Self-Cath Plus Straight Hydrophilic and the Self-Cath Plus Hydrophilic? Both are # 4412 for 12Fr., 16", but there is a price difference as well.